A good lease is the final key step to finding your perfect new home. 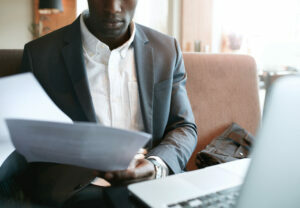 You should understand exactly what you’re getting when you sign that contract, and having everything in writing protects both you and your new landlord in case anything goes wrong. Middel Realty wants to make your move effortless, and below we’ve listed what to look for in your next lease. The landlord, the tenant, and anyone else on the hook for rent or damages. The lease might also mention maximum occupancy, but it’s always a good idea to double check local rules. In Fort Collins, for example, the U+2 rule means no more than three unrelated people can live in one unit. It seems simple, but make sure you’re signing for the right property! It should be clearly stated how long your lease lasts, as well as your options for renewing it (or not). You should also look for any guidance on what will happen if you want to end the lease early; you might be committed to the full length of the lease regardless of what happens. Educate yourself on what penalties or fees might come with ending the lease early. Who are you paying — the property owner or a go-between? How do they want you to pay — check, cash, or electronically? Do you pay for utilities with rent? If you’re late on your rent or utilities payments, what are the consequences? Once your term is up, will you be charged for any cleaning services? It’s important to clarify these things now so you don’t get an unpleasant surprise down the road. There should be clear terms on when you will get your security deposit back after the lease ends. There will likely also be a list of allowable deductions. Check to see if there are any deductions you might not expect, like a cleaning fee even if there are no damages. Who pays for and performs repairs? Your landlord is responsible for anything that might make the property uninhabitable, like electrical or plumbing issues, but there is a gray area when it comes to smaller repairs. Read the contract thoroughly to understand what you will be expected to pay for or fix yourself. You might also be responsible for things like yard maintenance and snow shoveling in order to follow city rules. It’s a good idea to clear up any questions here, in writing, rather than arguing about it later. A good lease is going to be several pages long, which means we can’t cover everything in one post! 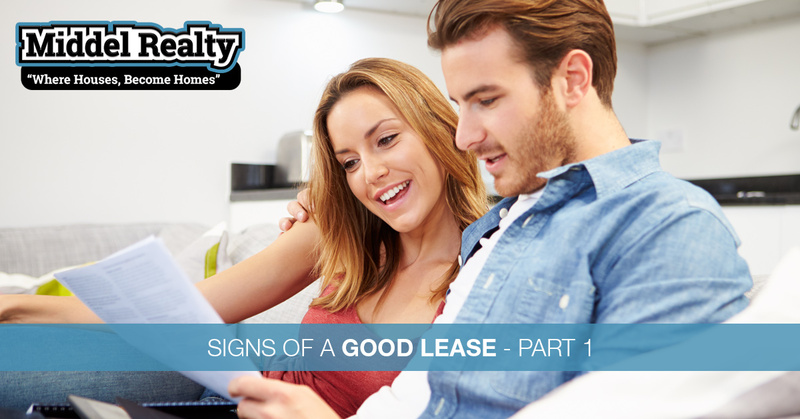 Keep an eye out for part two of this series to learn what else is included in a good lease. Middel Realty is here to serve you, so if you have any questions, call us today! You can also explore our rental listings online.